PUTTING some sparkle into January, nine couples from Redditch will be strutting their way to the Palace Theatre on January 27. 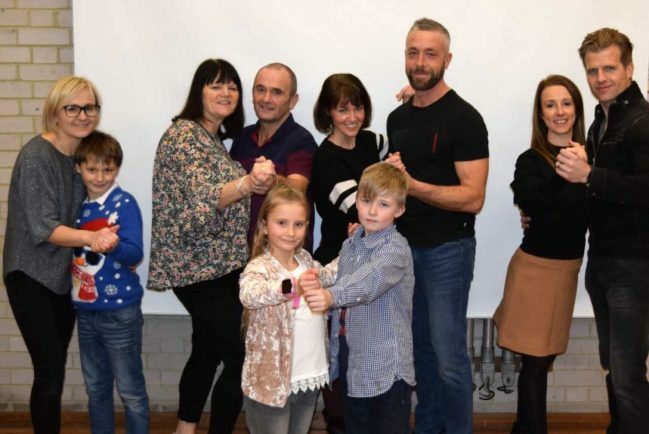 The Mount Carmel Does Strictly show promises an evening of dancing based on the BBC’s Strictly Come Dancing competition – with a a dose of glitz, glamour and sparkle to boot. From 7.30pm, entertainment will be provided by amateur dancers who are past and present pupils, teachers and parents from Our Lady of Mount Carmel First School Academy in Webheath. The couples have spent the last few months rehearsing routines and promise a dazzling dance off. Judges will be on hand to mark the dancers but the ultimate winner will be decided by the audience – everyone will be given a token to put into a voting box. The evening has been organised by Our Lady of Mount Carmel First School Parent and Friends Association and funds raised through ticket sales will go towards the cost of building an outdoor classroom at the school. Tickets for the family show are available from Redditch Palace Theatre box office and cost £11 for adults and £6 for under 16s.